I’m sure many of you found this site following a search on the Internet and are probably getting progressively more horrified and terrified by what you are reading about triplenegative breast cancer. I too was in a similar situation approximately four years ago when I was diagnosed with a recurrence of breast cancer after nearly fourteen years in remission. Thankfully when I was first diagnosed in 1999 the only diagnosis was whether the tumour was hormone positive or negative. At the time I would have liked to be hormone positive as I felt that Tamoxifen would have provided me with reassurance and peace of mind. In fact, truthfully, I was bitterly disappointed and I still remember that time as a low point in my recovery. I lived in fear of recurrence for awhile but slowly and steadily found my way back from the abyss and started living my life again. I went to college, was promoted in work and after a few years we were blessed with two wonderful children who fill my life everyday so sometimes life can somehow manage to work out just fine. The reason I have decided to write this blog is that when I was diagnosed the second time I tried to find positive research articles and people who have survived and moved on with their lives. 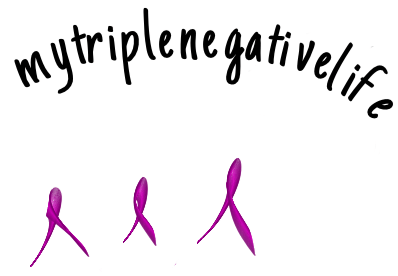 All I could glean were fairly negative articles and reports about Triple Negative Breast Cancer that had my head in a spin. I began to doubt myself, questioning my previous confidence in my health and reflecting in wonder at how presumptuous I was about cancer. Once I realised that in fact not much had changed with me except the chemotherapy had just stopped working. I also realised that there are probably many women like me who have moved on and are living good, near normal, healthy lives again, that they don’t engage so much with any forums or other bloggers who are currently in treatment. I aim to provide support through my personal experiences and provide practical tips on how to manage common issues associated with a diagnosis of cancer. In the midst of this you will see that my life has settled back into some semblance of normality albeit with some issues that I will also write about. It won’t be all doom and gloom along the way as I plan to look at some lifestyle topics that may provide some light relief from some of the more serious topics! I do hope you will join me..
Next postWaiting for Treatment to begin?.. I’m glad I found this. I have received my 2nd diagnosis of TNBC after my first diagnosis of TNBC in 2006. I’m still shocked but I’m very thankful this was discovered very early. I am so sorry to read your news. I am now coming up to five years after my second diagnosis. It took a bit longer to recover this time so be kind to yourself…There is a great online community of people with all stages of breast cancer out there to give you much needed support at this time. Best wishes with your treatments 😊.